So glad to come across your very informative website. I’m visiting Marrakech next month and I was wondering how much up-to-date are the information in the article above. Sorry for asking but I couldn’t find any dates related to the post or replies. Many thanks for sharing all this info! I keep this post updated regularly and also have released a food guide that’s much more in depth (you can find it at the end of this post) last month. Hello! I know this thread is old, but i was wondering if you could reccomend me some vegetarian, and vegetarian friendly resteraunts in Marrakesh and Casablanca. As well as the other major cities. I’m traveling next month with people who are vegetarians and meat eaters, so keeping the vegetarians happy will be a challenge! 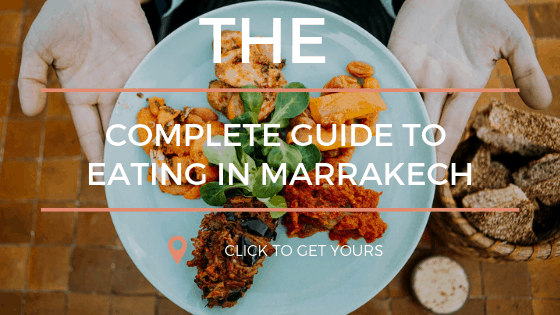 I have a post on vegetarian food in Marrakech here – https://marocmama.com/vegetarian-dishes-to-eat-in-marrakech/ There’s actually a lot of vegetarian foods in in Morocco so you should be ok! I am so glad a friend of mine sent me your link! I look forward to going to some of the restaurants you recommend in Marrakech. I am also going to Fes and wondering if you have recommendations for there as well. Really any of the small cafes/restaurants/patisseries will make msemmen in the mornings and later afternoons – you can easily find it. Dear Amanda, I’m in Marrakesh this weekend and enjoying your delicious suggestions! Café Clock was nice but Chez Bejgueni was absolutely Fab! The food, atmosphere…Completely surrounded by locals we really felt part of city. Amazing tastes (needless to say). Address wise though, we did not vind it as mentioned in your post but walked further to Rue Ben Aicha. Today, la famille is plannend! So far I am like your dad – if I can’t have a tajine ever again in my life, with the poorly defined texture (and often taste) that just does not work for me. I will try one of the places you suggest tonight, un dejuner or Ksar Essaoussan. Fingers crossed for a better experience. 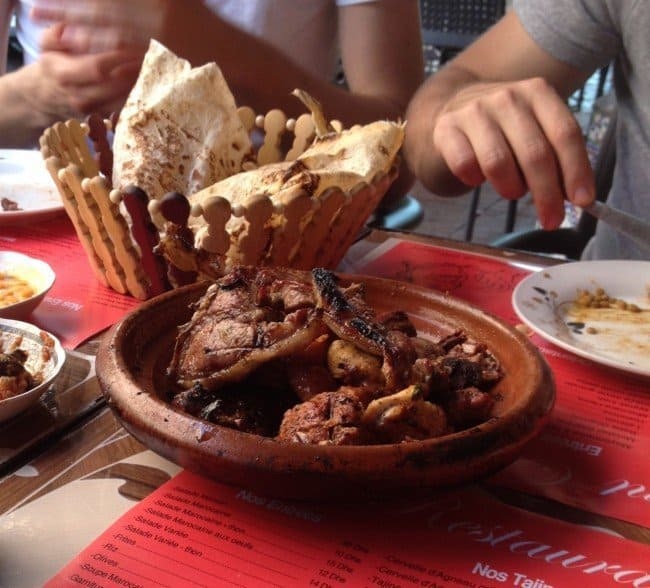 So tajines are naturally cooked to the point that the meat and vegetables are falling apart. If it’s not, especially the meat Moroccans would never touch it. They will say it’s not cooked. Taste is different and sadly that’s what you find in a lot of tourist places. I found your website, and it’s so informative- thanks for sharing so much of your love for this country! Hi – no I just didn’t include it because you’ll find tajine EVERYWHERE!!! Just don’t expect a side of couscous – two different things. If you want a good one, your riad will probably make a great one, usually the ladies working there cook just like they’re at home! Thanks for writing this, it’s the sort of honest post that travelers are always looking for! We are budget travelers and Morocco has been on our list for years. I’m glad I now have an idea of want foods to avoid, because we are total foodies and would probably eat whatever is put in front of us. I knew from your first picture you were at cafe clock. We ate dinner there 2 times when we were in Marrakech for 5 days. We never did see their entertainment offerings because we wanted to enjoy the calm of the night on the roof. We did enjoy their food and their service both times it was great. My husband tried the camel burger and said the ketchup they used was tasty. Our first meal was a lunch in the square at a place I think was called Cafe Yami. it is located right next to a mosque. I had a chicken tangine there with lemon and olives and it was my favorite meal our whole trip even over food we ate at one of the top rated restaurants of Marrakech that was located in the new city. I truly was surprised at how well I enjoyed the food of Marrakech. I will be looking for Moroccan restaurants here at home. Thanks for the tips I will use them because we do plan on returning to Marrakech. We stumbled upon your post just at the right time as we head to Morocco on Friday! I bookmarked all of the places, I just couldn’t find the ice cream place in google maps for some reason but I am sure someone at the hostel can help us. Thanks so much for the detailed post, can’t wait to go now! They’ve opened another branch of it at the Carre Eden mall – much easier to find! Thanks so much for this informative post – I’m headed to Morocco in a few weeks. Question — I know we are supposed to only drink bottled water (and I have a sensitive stomach so I intend to be very vigilant) , but I also know that it’s considered rude to turn down mint tea. how do you handle those situations? You need not worry about water that’s been boiled 😉 Just avoid drinking straight water from the tap to avoid an upset stomach. Excellent post Amanda thank you so much for writing this. I’ll be visiting Marakech in 2 weeks’ time with my sister who is a VERY fussy eater so this is a godsend lol. Thank you for these brilliant tips, Amanda. I am going to Marrakesh for the first time, in Oct 2016, and was just assuming that it was all good, all the time. But…your wise words have put me straight on a few things. I am so glad I read this! Thank you, KJ. I am taking my family (wife & 3 daughters) to Marrakech at the end of July for 1 week. Any advice on where to stay for families? Kids are 6, 12 & 16. Also I would love to book your food tour. Hi David – great! I have a post on family friendly riads – though with 3 kids you’ll likely need 2 rooms for sure. You might also check out Domaine Royal Palm for a great resort but they have a free shuttle to the city, beautiful pools, kids club, and good summer rates! Depending when in July you’ll be here (if it’s after Ramadan) we’d love to have you on a food tour! Visit our website at http://www.marrakechfoodtours.com and or drop an email to marrakechfoodtours (at) gmail.com to set up a date! Thank you for this post. I want to visit Bejghueni, but I don’t see much information about it online. Is it open for dinner? Is it easy to grab a taxi after eating there? Yes it’s mostly open at night and it’s in Gueliz -plenty of taxis! Thank you for these amazing tips (in this post as well as others! ), I’ve just sent it to my mother to look at as she is heading to Morocco for the first time this week. I was wondering though if you happen to know of anyone who is writing anything similar about other places in Morocco? I’ve been there before, and am going (to Agadir) again in a few weeks, and was wondering if you know how I can find out about such hidden gems in there? Hi Amanda! I’ll be in Marrakech from October 25 until the 29th and I’ve been trying to find places that would best suit my profile: I’m a 21 year old female college student with a limited budget. I’d like to find places to eat within the range of 4-40 dirhams (60 maybe at max). I’m not sure where most Moroccan’s go to buy ingredients for home (if that’d be a cheaper option than restaurants). I’m not sure if I should be concerned about any places to avoid, being a lone traveler, just to be safe. You can find plenty of street food that falls in that range or of course buying and making your own food will be really affordable – just not sure what you’ll have access to and if it’s worth the trouble. There are outdoor markets and regular supermarkets in Marrakech so you’ll have options. There are nuts in almost all deserts so you’ll probably just want to avoid them but otherwise it’s pretty safe. Nuts aren’t used to prepare many other things. You can use the word “hassassiya luz” to mean you’re allergic to nuts but most people in restaurants will understand English. Keep the phrase on hand just in case. I would bring an epi pen with you as well just in case. My favorite non-stand place on the square to take visitors was Dar Bel Kabir. It’s not the best Moroccan food I’ve ever had, but their 3 course meal with the mixed salads (which tended to be more unique than the norm), the lemon chicken, and their dessert bastilla were always crowd-pleasers, and the price isn’t that bad. I don’t know if it’s still in existence, but I really liked it for simplicity and on-the-square. Hi Amanda! 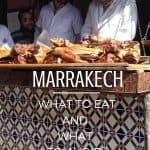 I’ve been to Marrakech several times before and have fortunately been able to avoid most of the tourist traps because I had a good local friend who knew the best places to eat. I was wondering now why you’re not recommending the tangia and mechoui stalls on Rue Semmarine. I think they’re such unique places with their underground ovens and limited-specialized menu. It’s not that I don’t recommend them (it’s actually a favorite place to take people and is sometimes on our food tour) but there are a few reasons. 1) It’s a little hard to find and explain how to get to 2)for people who don’t speak Arabic or French it can be difficult to navigate and 3) I find most English speaking people are very intimidated by it. After having taken close to 1000 people around Marrakech I would say 85% have said they would never have walked in there by themselves! Yeah, I guess those sheep heads on display can gross out many non-Moroccans. And maybe I’m one of the 15% who get instantly attracted to unusual-looking food. Also, since this place is just right across the little marketplace where they sell olives and other preserved food, I believe this is one of the most important and accessible places to get some good food in Marrakesh. I salute you for helping people have a good food experience of Marrakesh, especially since so many places serve really bad food at touristy prices. I’ve been to Marrakech twice and on both visits I was a bit wary of eating at the food stalls. Our riad served wonderful food, but on New Year’s Eve my boyfriend and I decided to get a bit adventurous and go for a local delicacy at the night market. 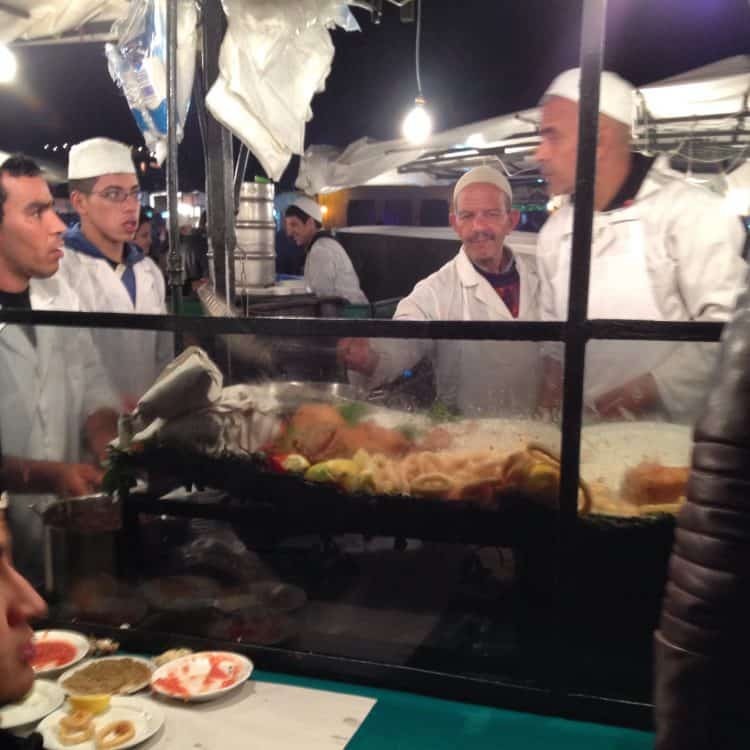 I had already come across some warnings about eating at the night food market, so we ignored the waiters and their flashy tourist menus and sat down at a stall alongside other Moroccans. We ordered a sheep’s head, and prayed that we wouldn’t wake up unwell for our trip to Ourzazate the following morning. We were still trying to finish our dinner when two Moroccan families sat down next to us and ordered the same thing (I felt quite relieved at this). However the best food I had in Morocco were the tajines prepared by our Berber host families in Amizmiz. I think many people are cautious of this but glad you went out of your comfort zone and dug in! They’ve recently redone all the stalls putting in new equipment for the stands, sinks for the stalls and handwashing stations. It’s much nicer! Hi Amanda. I just stumbled across your blog and have found it quite interesting. I’ve been in Marrakech for a few days and have found myself making some of the mistakes you warn against — smiling at touts, eating on the square, etc. — and you are absolutely right about the reaction. And while I can easily stop the smile, I cannot easily stomach the food offered to tourists, it is AWFUL, and you can’t really trust online reviews because they are made by tourists who think cumin-scented couscous is ‘exotic’ to their already bland palette. I am curious about the food recommendations you make here, and on other parts of your blog — most of them are in Gueliz, where everything is slightly overpriced and, some would argue, inauthentic. I am interested to know if there is a particular reason why most of your suggestions are there (ie. more western – and therefore more familiar – in service/presentation/etc.) of if you genuinely believe these places are better than the offerings in the medina. I would really like to experience Moroccan life in my brief 2 week visit, and food and shopping are a HUGE part of that — but so far, all I have found are the souks and other tourist traps that I want to avoid. Any insight would be helpful. Thanks. I wish I had red your blog before my trip to Marrakesh. While I was there, I did not have any tasty cous cous or tajine, even at restaurants recommended by our riad employees. Came home very disappointed…. I have been dreaming of Marrakech since I was very young. I am ready to take the plunge and finally visit. I was wondering if you have any tips for SOLO young female travelers? I’m from NY and I’m planing to visit morocco in July , unfortunately not Marrakech but Tangier. I follow ur posts MarocMama in Pinterest very enthusiastically, since I find them very incisefull and practical. For this reason I’m requesting from you any information on a realible source of contact in tangier that would provide me and my friend with a food tour contact. I’m visiting Tangier from a food tour in Spain. My son and I own a latin sushi fusion business in Rochester, NY. Thus my interest to experience morocco from its culinary delights. I’m afraid I don’t know of a good resource in that region but please check out http://tea-in-tangiers.blogspot.com/ – she lives in that part of Morocco and would have better insight than me. Thank you for your compliments and have an excellent time visiting! Great tips Amanda, I am looking forward to our trip and so happy I don’t have to guessing where to find good food now! Great tips for our upcoming travels in two weeks! Glad it was helpful. 🙂 Welcome to Morocco soon! Booked a tour with you for January 18, 2015, and am so excited with all I read. This is our first trip to Morocco and the 18th will be our second day, or first full day in Marrakech. Thanks for sharing your knowledge and experience!! Looking forward to meeting you and sharing dinner! I’m plotting and planning! It looks very likely we’ll be visiting soon. My son is allergic to dairy and we don’t eat sweet things much, would we be able to find eggs and flat bread, rather than pastries, for breakfast? I seem to remember buying flat bread from street carts last time we were there. There’s not a lot of dairy used at all so that shouldn’t be a problem. Really the only sweet things are the cookies (and not all of them are super sweet). Eggs and bread for sure no problem. Croissants, sweet and savory crepes…you name it! Butter is the problem in croissants, and I’d make crepes with milk, do they use something else? You’re right I complete blanked on considering that. I was only thinking of milk! Nope you’d want to avoid both of those. You can ask about other cookies and cakes because a lot of times they use oil instead of butter (I think it’s a cost thing). For all the French influence one thing they didn’t really pick up on was much butter. 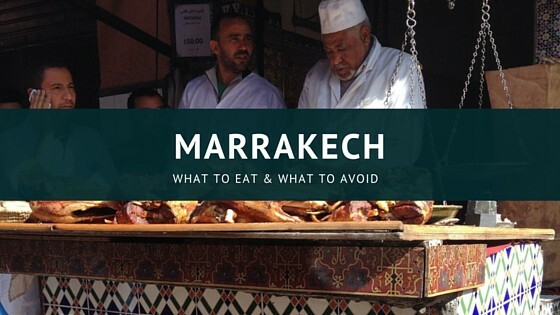 Is it easy for Vegetarians or Vegas to eat in Marrakech? Any recommendations I appreciate it. I am excited about an upcoming visit but nervous about my dietary restrictions and especially how it will effect others. Hi – yes it’s not too difficult with a little planning. I don’t eat a lot of meat and havent’t found it difficult to have vegetarian dishes. I’ll be writing a post about eating in Morocco with allergies in the next few weeks – stay tuned! I’m so happy to read this! 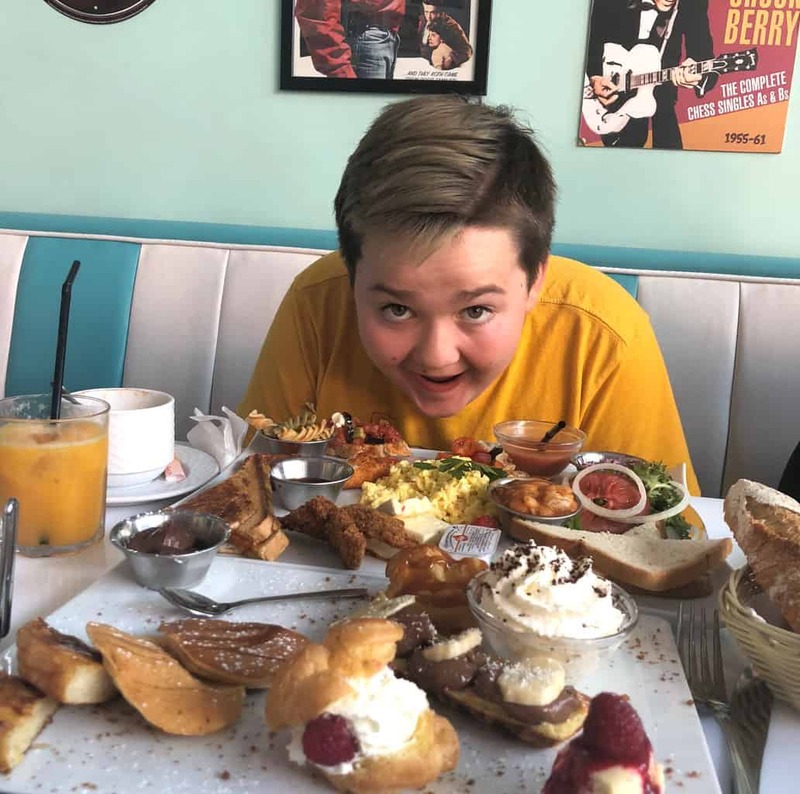 Check out this post I wrote on a fellow travel blogger’s site about eating with kids in Morocco – http://travelogged.com/2014/06/07/eating-kids-morocco/ Have a great visit and feel free to drop me an email if you have any questions that you haven’t found answers to! As far as the food stalls, I would say your advice to eat where the Moroccans eat makes sense. I’ve eaten at the food stalls every time we’ve been to Marrakesh ( the highlight being harira and chebekia in November-the time of year you can really appreciate it), however this was always after careful examination of various stalls by my husband and mother-in-law. As always, the best advice I can offer anyone who wants to visit any country is either go with a local or do as they do, that way you get a much more authentic experience rather than remaining a tourist and complete outsider. I adore your blog– like you, I have cringed many times watching people eat at Jamaa’ al Fna. Interesting transliteration, by the way (djem al fna) where does it come from? Is it just a way of sounding out the words without writing them out correctly? I’ve seen it written a few different ways and from what I’ve been told there’s no “right” way to write it in English because it’s transliterized. Just like Marrakech is spelled often with a -ch or an -sh at the end. Joys of language! Great tips! I’ll talk to my husband about doing one of your food tours when there in October! Yay! 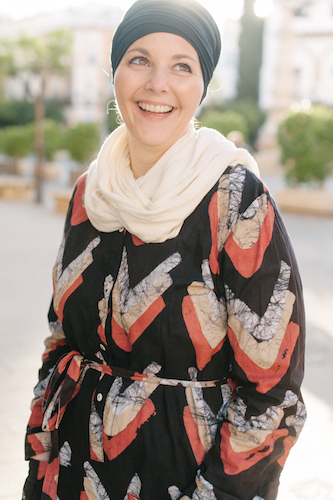 How exciting for you to be coming to visit – I love introducing people to Morocco – so fun! The other thing about the stalls, It’s true that not all of them are 100 % perfect but reading your post make it sound a bit dangerous and adventurous to think about eating there..The only reason I can think of is that they became “bad” in the last years due to the massive demand.. Overall and although I’m the first to point out the bad things before the good ones in my country, I found this article a bit “misleading”. Sorry, the world misleading was referring to the 2 points I mentioned. The rest of the article is interesting. Cheers. Maybe I didn’t make it super clear but I’m not criticizing Moroccan breakfast! I love it! I just don’t think it often warrants the price and can often be found for much better and cheaper outside of hotels. I think especially Americans are let down often because a “big breakfast” in a Moroccan hotel is not what is expected. My food stall warning well, I know quite a few people who have become sick so it is something to be aware of. I also did mention if you want to try them then make sure to visit one that has lots of Moroccan families there because it’s likely going to be safer. i wish you had written this before I went in December! I learned your lessons the hard way. through disappointment. i did find some good food not too far from the square but everything in or around the square was definitely disappointing (we had to eat at places with western food as my husband has many food allergies. also, i do think that eating in the square is an experience. maybe just for snacks, or maybe with the understanding that it is going to disappoint. but it was still enjoyable to still there a be a part of the scene. Yes you hit the nail on the head! 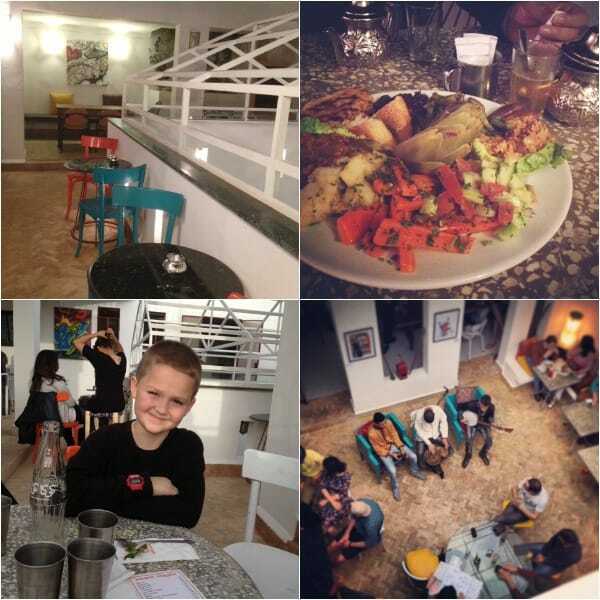 There are some really good Moroccan places that can cater to food allergies with some planning. If you ever make it back please get in touch and I’d be happy to help you find them and have a better eating experience. I’m not saying there aren’t breakfast foods but many of those things you mentioned aren’t served on a regular basis in homes so don’t have the notoriety of other Moroccan foods. If you ask someone they probably won’t talk about a great breakfast in Morocco before they talk about couscous or a tajine. Most of the breads mentioned are eaten in the afternoon at tea time. Normally Moroccan breakfast is just bread, olive oil, butter and jam. Maybe eggs and khlii. It probably varies place to place but I guess what I Was trying to say is don’t waste your money for a “breakfast included” hotel or high priced menu breakfast because it’s usually a rip off and you can go to the patisserie or “snack shop” and get the same thing. Maybe I’m just becoming too used to it but I’ve drank enough orange juice and mint tea at this point to sink a ship! On the food stalls – I know lots of people swear they’re the best but I just don’t think so – there’s so many other great places to eat that are safer! So for the msemen, baghrir, harcha etc, we have regularly this kind of dishes for breakfast, at my parents’ place as well, my grandma’s when she was alive etc… I am not sure it is a particular thing in my family. As for the food stalls, well “les goûts et les couleurs ne discutent pas” as they say in French ! Isn’t it great? Just like so many things here I think it must depend on the family and region. Maybe if we have company those things are served for breakfast but otherwise not. Just trying to offer some different suggestions. I’ve seen breakfast addons advertised for as much as 20 euros per person and it’s just outrageous. You could feed a family of 10 breakfast for that price! To each their own – just some other voices from the crowds.